Even with the human race experiencing countless amounts of casualties throughout the expanse of human history from war and aggression, every war accumulated into one on account of lives lost would not even begin to compare to the amount of lives taken by disease throughout history. Looking back on history from 14th century Europe, scholars can clearly agree that the leading cause of death for the entirety of the human population at that time was due to the “Black Death” or the black plague. This plague took the life of an estimated 75- 200 million people. It was the first disease in human history that took the lives of people in this giant multitude in such a short amount of time. The height of this disease was from between the years of 1347 to 1351 AD. This disease was so deadly that it was responsible for taking the lives of 30-65% of Europe’s entire population. Disease is the type of killer that does not specify its killings based on politics, religious belief, class, or ethnicity. Disease can be spread to anyone and everyone if precautions and adjustments are not met to deal with the disease. People who are not cautious or do not act on symptoms and advisement from others about the disease can be easily infected with the disease if not careful. Anyone is susceptible to contracting disease which makes for its high numbers of mortality throughout the entirety of human history. Looking at the devastating effects of the black plague which ravaged the European continent in the 14th century, people did not believe that any other disease could top the sure savagery of the effects that the black plague did onto humanity, however nobody could have predicted that in the next 500 years, the effects of yet another plague would show the same devastating effects onto human life than that of the famous Spanish Influenza which was responsible for the death of around 50 to 100 million people worldwide or about 25 to 30% of the world’s entire population. The influenza virus of 1918 or more commonly referred to as the Spanish Influenza was responsible for the death of 50-100 million people. As stated in the journal article, The Origin and Virulence of the 1918 “Spanish” Influenza Virus, published by the American Philosophical Society, that, “-the pandemic virus contains genes derived from avian-like influenza virus strains and that the 1918 virus is the common ancestor of human and classical swine H1N1 influenza viruses.” The virus that most closely resembles the essence of the Spanish Influenza virus today is the Swine Flu virus or the H1N1 virus. 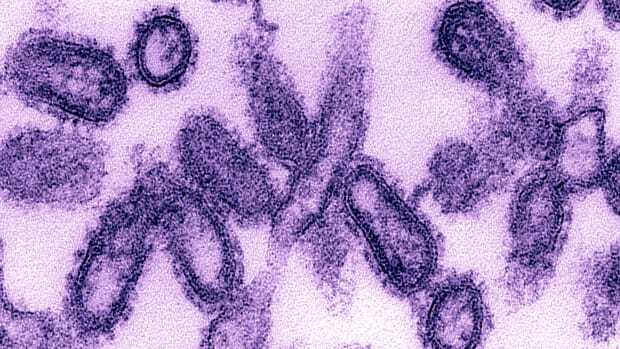 When this virus first started to occur it was in the midst of the first World War. The virus was able to spread throughout the world so rapidly because of the mass migrations of people due to the first World War. 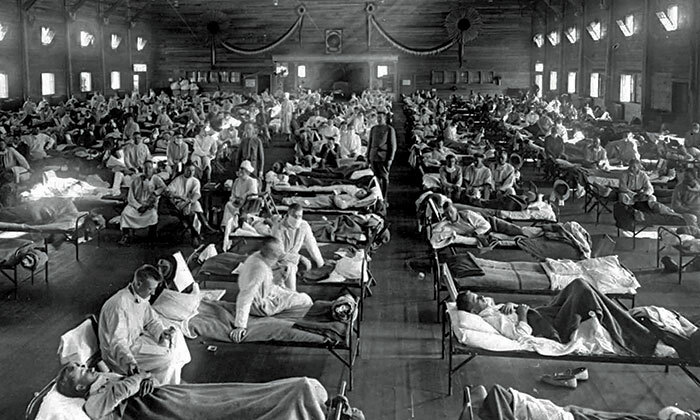 The virus was able to spread through barracks, trenches, and crowded cities throughout the war. The virus was actually given its name because of the fact that Spain was a neutral country at the time of World War 1 and there was no ban on the country from reporting its findings of the disease and its impact on the country to its people and to the rest of the world. For the reason of Spain being a neutral country in World War 1, it was able to publicize about the effects of the disease, which made people begin referring to the outbreak as the Spanish Influenza because people believed at the time that the Spanish were taking the brunt of the disease and people began to sympathize for the country and its people. The fact of the issue is that this disease did not only take place within the confides of the Spanish boarders and reached its grasp to almost every country throughout the entire world. It has been estimated by historians that close to 675,000 people were effected and later died from the Spanish Influenza within the United States alone. This number of dead is estimated to be 55,000 more than the number of lives lost throughout the entirety of the American Civil War. “-most historians agree that the 1918 pandemic started in Kansas in the spring of that year. The first victim on record was Albert Gitchell, a cook at Camp Funston, part of the Fort Riley military base”, says Kenneth C. Davis, historian and author of the book “More Deadly Than War: The Hidden History of the Spanish Flu and the First World War” on the pandemic. This case of the military cook in Kansas was the first case reported to the American public and another 674,999 people would soon discover the same fate as Albert. The Spanish Influenza was known for its massive death toll throughout the world and especially within the confides of the United States of America, however it was also re-veered for its ability to cripple and boost aspects of economics and trade. People began to be wary about who they were trading with in fear that they could potentially be infected with the virus. 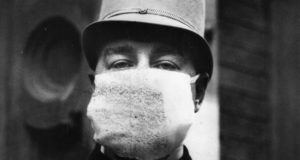 People all around the world at this point in history are beginning to learn about all the fatalities around the world from the Spanish Influenza which sent people into a panic. This hesitation to do trade between some countries began to put a toll and a slow on some markets within the United States specifically in food trade. However a market that was economically striving at this time was businesses within the pharmaceutical drug market. In this quote taken from a news article from October 21st, 1918 published by the Washington Post addresses the state of the business that was supplying the American sick with Aspirin claiming, “The country wide epidemic of Spanish Influenza has had considerable influence on the drug markets and the demand for camphor, aspirin, quinine, and many disinfectants has been unprecedented. -in the present epidemic, for which aspirin is widely used, the manufacturers have had no trouble in keeping pace within the demands.” Political and economic scholars can make the claim that even with such suffering and loss, the economy of the United States for some individuals was greatly boosted off of the misfortune of others who needed medication for the pain. Even though the effects of this disease were felt on a personal level throughout the entirety of the world, it is important for scholars to look at this disease and other diseases like the Spanish Influenza to understand diseases like this and work for finding a cure. Jeffery K. Taubenberger, writer of the journal article, The Origin and Virulence of the 1918 “Spanish” Influenza Virus, states his claim on the importance of scholars continuing in the research and prevention of the spread of deadly diseases world wide writing, “Sequence analysis of the 1918 pandemic influenza virus is allowing us to test hypotheses as to the origin and virulence of this strain. This information should help elucidate how pandemic influenza virus strains emerge and what genetic features contribute to virulence in humans.” It is important for medical professionals, scholars and political leaders to understand the full extent of a disease that has the potential in causing mass amounts of deaths to a population. It is important to look back on history and see these tragic events and remember the people effected and the course in which the disease had spread and take specific precautions in making sure that severe outbreaks do not happen in the magnitude of past events like that of the Spanish Influenza and see the way in which humans react to new vaccinations and cures. Davis, Kenneth C. More Deadly than War: The Hidden History of the Spanish Flu and the First World War. New York: Henry Holt and Company, 2018. Halford, Bethany. 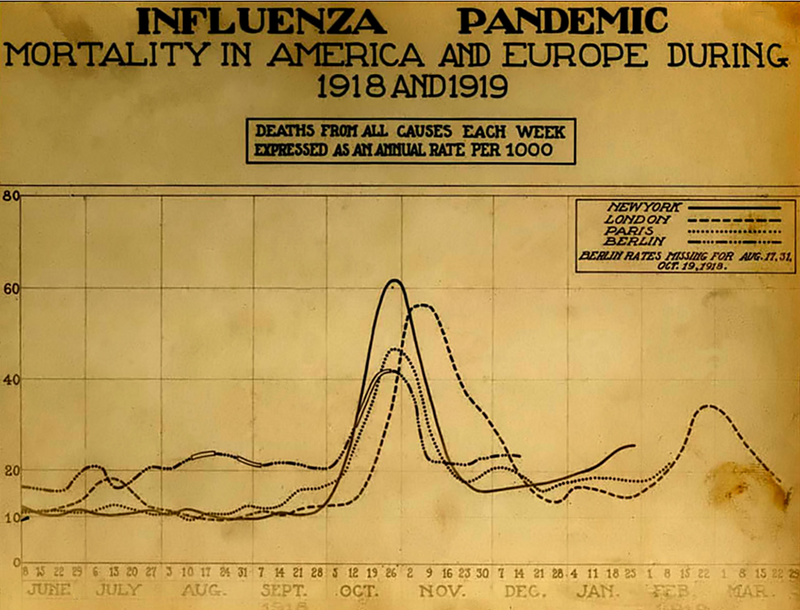 “Learning from the Infamous 1918 Spanish Flu.” Cen.acs.org. Accessed March 23, 2019. https://cen.acs.org/articles/96/i11/learning-from-the-infamous-1918-spanish-flu.html. Taubenberger, Jeffery K. “The Origin and Virulence of the 1918 “Spanish” Influenza Virus.” Proceedings of the American Philosophical Society 150, no. 1 (2006): 86-112. http://www.jstor.org/stable/4598974. “TEXTILE TRADE HIT BY SPANISH INFLUENZA.” Wall Street Journal (1889-1922),Oct 21, 1918. http://library.ramapo.edu:2048/login?url=https://search.proquest.com/docview/129724523?accountid=13420.